Oneta Keister returned to her Heavenly Father on Novermber 18, 2011 after a battle with cancer. She was born on April 2, 1924 in Boise, Idaho to William and Ethel Stanton. She married LaMont Keister, February 14, 1945. He was always her best friend and companion. They farmed in Caldwell, Idaho until 1954. Then they drew a farm on the northside where they happily resided for 35 years. They raised three daughters; Lorraine, KiAnna, and Artiss. Over the years, Oneta worked at the Russett Inn, Ponderosa Inn, Rupert Elks, and Amalgamated Sugar. They owned the Melody Bar and later the Blue Room. She like bowling, swimming, shooting trap and black powder, playing baseball, and camping. Her real passion was music and could play almost any instrument. Her last pastimes were going to garage sales, playing bingo, and cards. She will always be known for her kindness and her unconditional love for her family and pets; especially her Pomeranian Peaches. She was good natured, never angry, and always quick to forgive. She is survived by her three daughters; Lorraine (Terry) Neuman of Hamilton, Montana, KiAnna (Larry) Oswald of Twin Falls, Idaho, and Artiss (David) Rollheiser of Rupert, Idaho. Also, her ten grandchildren: Mike Sigglin, Matt Sigglin, Kimberly Jackson, Dan May, Gabe Rollheiser, Travis Oswald, Samantha Pena, Brandon Oswald, and Cory Oswald. She was preceded in death by her husband, parents, and granddaughter Kiki Adams. 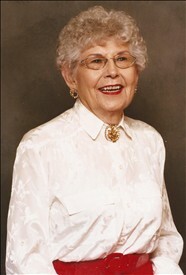 Funeral services will be held 2:00 p.m. Tuesday, November 22, 2011 at Hansen Mortuary Rupert Chapel. Interment will follow at Paul Cemetery. A viewing will be held on Monday from 6-8:00 p.m. and one hour prior to the service on Tuesday.